For the writing section of the Praxis Core exam, you’ll be expected to write 2 essays: an argumentative essay and a source-based essay. The Praxis core essay prompts have familiar topics, so they don’t require any specialized knowledge. You have 30 minutes for each essay. 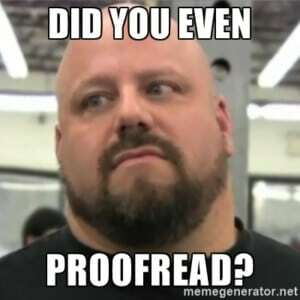 Plan on spending about 8 minutes crafting your thesis and creating an outline, 20 minutes writing the essay, and about 2 minutes proofreading and revising it. Here are some other things that you should consider as you prepare for each type of essay. The argumentative essay presents an issue for you to consider. You have to determine whether you agree or disagree with the statement. Then, discuss the reasons for your position. Include examples, personal experiences, observations, books, and other things to support your viewpoint. Passing standardized tests should be mandatory to graduate high school. Lack of parental involvement is the reason schools are in decline. Year-round school will improve education in the United States. Learning a foreign language should be required in teacher education programs. Dress codes will decrease classroom management issues. Think about whether or not you agree with the above Praxis Core essay prompt examples. How would you support your viewpoint? What would you write as your thesis? Think about how you would approach each of these prompts. It might be helpful drafting an essay to practice. Source-based essays, also referred to as informative or explanatory essays, require you to use information from 2 short reading passages provided by Praxis. Then, identify the most important concerns regarding the issue outlined in the passages and explain why they’re important. You need to cite both passages in your response. Also, supplement your response with personal experiences, observations, and other supporting examples. A lack of grammar and punctuation errors. As you prepare for the writing portion of the Praxis Core exam, practice answering essay prompts. Give yourself 30 minutes to craft your response. Also, consider enlisting a friend to read through your essays and provide feedback to help you improve your writing skills for the exam.